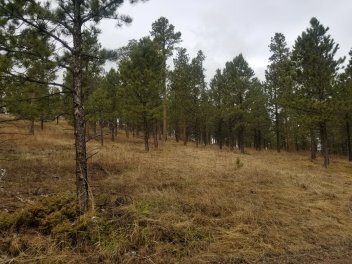 We offer a variety of thinning and harvesting techniques from low impact mastication with skid-steer sized equipment to heavy clearing for right of ways and commercial timber harvesting. Baker Timber Products has spent a lot of time blending the right type of management practices and specialized equipment. This enables us to complete a wide variety of project descriptions in ways that have multiple silvicultural benefits while also providing protection from fire, bug infestation or other natural disasters. Merchantable material removed from treatment areas can be utilized in our sawmill or post & pole mill. Baker Timber Products has a very respectable history of responsible environmental practices as well as employee safety. We make every effort to ensure competitive pricing along with premium workmanship. 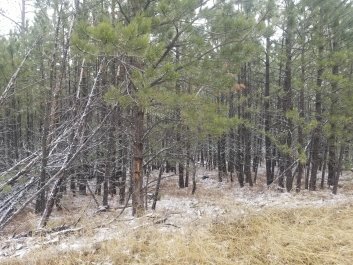 Our thinning practices promote healthy forest environments; by removing defected trees such as bug infested, forked top and storm damaged trees. Thinning offers protection against wild fire, further bug infestation and encourages native grasses to grow within the forest. 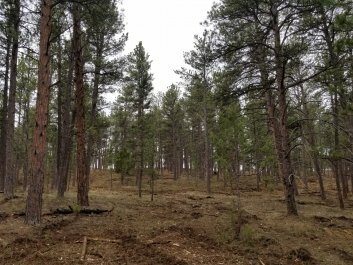 Our logging practice utilizes each tree to its maximum potential. Our computerized processing machines measure each log to ensure minimal waste.